The Salty railway of Volterra - Volterra and Paola - Cosenza saw her protagonist with the Gr. 980. This particular steam locomotives was used on track with denture and inclinations up to 100mm/m. 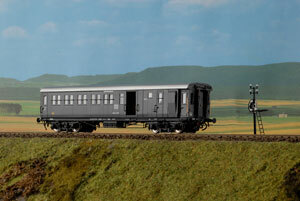 The models of these particular rack - railway locotender locomotives and overheated steam, realized in limited edition in the exact 1: 87 "H0" scale, are entirely built in brass and steel as the whole models of production Top-Train. 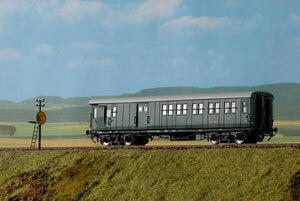 The steam locomotive is a "modelistic jewel" designed and built by Top-Train in limited edition. Top-Train has reproduced all the details of these italian steam locomotive with mixed adherence: the connecting rods, the Walschaerts distributions, the cogwheels. The Gr. 981 was used by FS on the rail-track Paola-Cosenza with “gear wheel system” for the inclination degrees of the railway tracks on mountains. The reproductions represents one of the most complicated brass models for technical details and working engine. 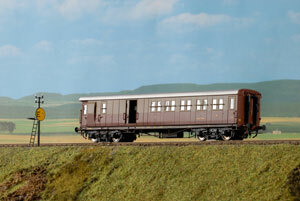 The models of these particular rack - railway locotender locomotives and overheated steam, realized in limited edition in the exact 1:87 "H0" scale, are entirely built in brass and steel as the whole models of production Top-Train. Top-Train has reproduced all the details of these Italian steam locomotives with mixed adherence: the connecting rods, the Walschaerts distributions, the cogwheels. With the model is furnished a special cog railway track ( length 90 cm) in perfect scale 1:87 to assembly on the standard rack rail (suggested Peco code 100). As the real one when the gear wheel goes on the cog railway, the second connecting rod starts to working. When the model with gear well comes out of the cog rail way, the second connecting rods stop to run, like original one. Original Shop : Ernesto Breda. Walshaerts Distribution. Original Project of the rack system : SLK-Winterthur . Oil lamps, steam - whistle, black plates, year : 20’. Grey colour (photographic livery). Possibility to open : roof of box cab, doors of the water tanks, doors of smoke room. Original Shop : Ernesto Breda. Walshaerts Distribution. Original Project of the rack system : SLK-Winterthur Oil lamps, air - whistle, black plates, year : 50’. Black/red colour . Possibility to open : roof of the box cab, doors of the water tanks, doors of smoke room. Original Shop : Ernesto Breda. Walshaerts Distribution. Original Project of the rack system : SLK-Winterthur. Electric lamps, steam - whistle, red plates, year : 60’. The Gr. 981 Italian Steam Locomotive was used originally with a “brake” coach during the trip on the Paola-Cosenza railway track.